These modifications were done a few years ago. I'm just reusing these dayton DA175-8 woofers for a new boombox project. Cones were slit an covered with automotive damping spray. Small copper caps are glued on top of pole pieces. 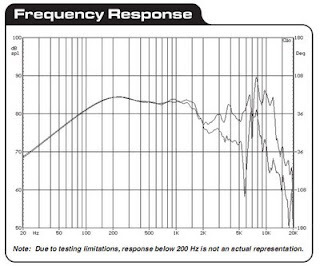 Blue line in the graph below shows modified woofer's FR, measured on axis(in box). 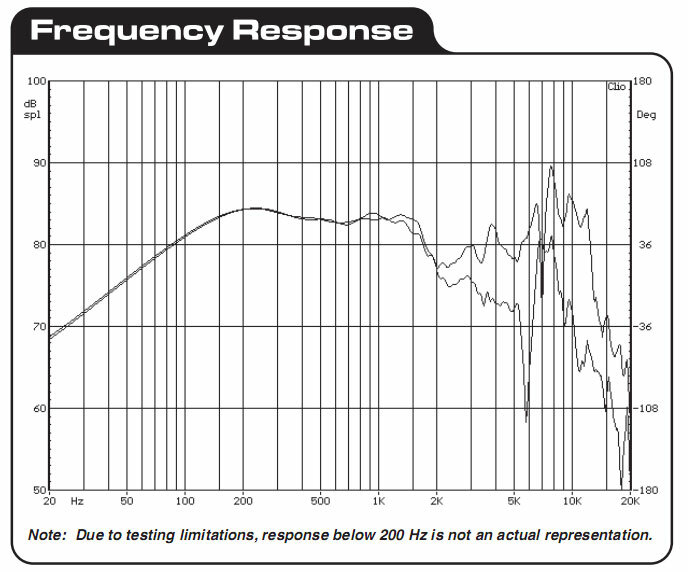 Yellow line is FR measured with thick foam placed in front of the woofer. 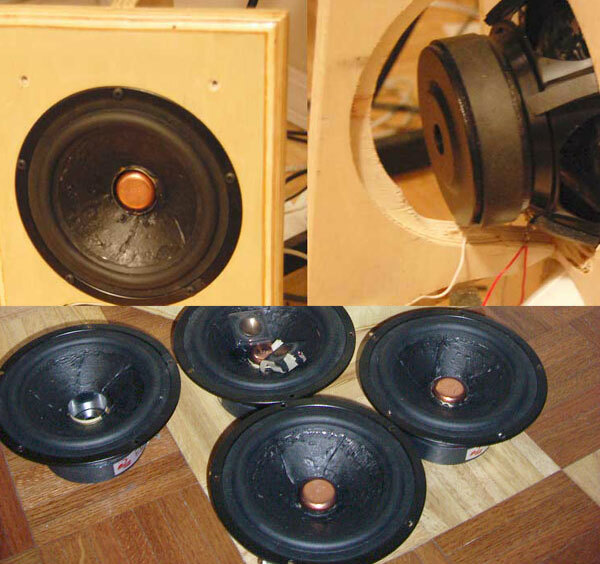 I was doing these modifications to reduce resonance above 5khz. As you can see resonance is still there. Unfortunately aluminum cones do not benefit from this kind of modifications.